Setting aside whatever is going on at Community Broadband Scotland, we now have committed funding from Stirling Council, the EU LEADER fund and that promise of some from CBS (although they do go strangely quiet every time we ask them to actually deliver what they’ve repeatedly and unequivocally promised us) on top of the private backing and volunteer support we’ve already had. There will be a lot more on the funding aspect as we work through the main build and head towards the furthest properties – we’re still juggling numbers for the whole build. The basic premise though is to get started, get properties online and move on to the next sector as rapidly as resources permit – very much the way we wanted to build in the first place (and which is appropriate to a community project) before we got sidetracked by the civil service’s desperate longing for monolithic contracts that follow a rigid schedule. 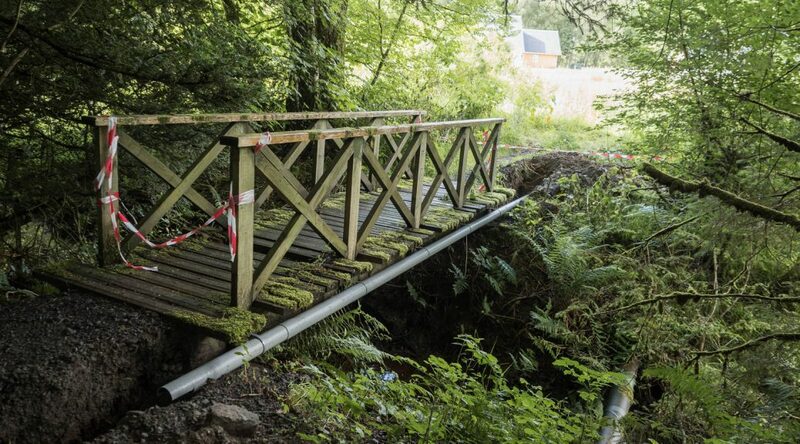 So, having been told last Monday that we’re clear of the ’not allowed to start’ hurdle, we can now tell you that: the glen’s internet connection (which runs from the end of the fibre cable at Stronvar Bridge to Bogons’ bunker at Cultybraggan, via the Strathyre exchange) has been ordered; Openreach has put in the ducting we need to get the connection from the pole to our cabinet; The cabinet itself, plus ducting and various ground chambers, arrived on site on Tuesday. Its plinth was built and the cabinet installed over the the weekend, with SSE supplying the power to it just as soon as the suppliers send us the keys; The first kilometre or so of ducting, from the cabinet, through Stronvar and heading in the direction of Monachyle Mhor, via Muirlaggan and Tuarach is now in place, with the smaller (7mm) ducts to feed individual properties to be installed as soon as that order turns up. Not too bad for a week’s work. For those locals who haven’t been over to the Stronvar side recently and discovered what’s afoot by falling into a trench or finding the road blocked, there’s a gallery of pictures from the current work here. A significant amount of this first tranche of work has been funded by Westerwood Homes – their interest of course being that, whilst it’s simple serendipity that the fibre was installed to right beside their development, it will prove a considerable help to their selling the plots and houses they are developing at Stronvar, as well of course as helping get the whole project up and running. The ducting and cabinet have been supplied through our internet service provider partner, Bogons Ltd. The grand plan is to rapidly build links out from Stronvar, East to Gart, South to Ballinluig (Red House etc), North to the Village Hall and West to Monachyle Mhor, which is the biggest customer in the glen. 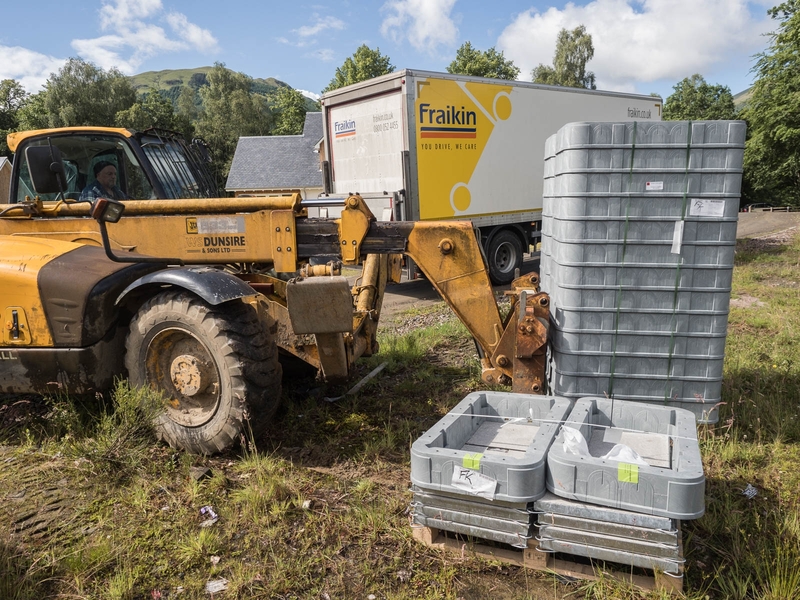 That will enable all the rest of the connections in the glen to get underway just as rapidly as we can round up volunteers to dig holes, lay duct and make tea. This isn’t rocket science: 75% of the cost of laying fibre is in the labour for the basic plumbing of the ducts needed to run the fibre through, so the more donkey work we do ourselves, the further the money goes. We’ve divided the whole area into geographical sectors and we’ll be looking for ‘champions’ in each sector to help fine-tune the route with the householders in each and organise volunteers. So far we’re covered for Gart/Ballinluig, Stronvar, the South side route to Tuarach and for Monachyle Mhor. The actual timing for delivery to any area will depend in no small part on the level of volunteer effort we can achieve – right now we’re getting the basics into place, getting the tools together and learning how to do the necessary stitching together of various bits of fibre optic cable. 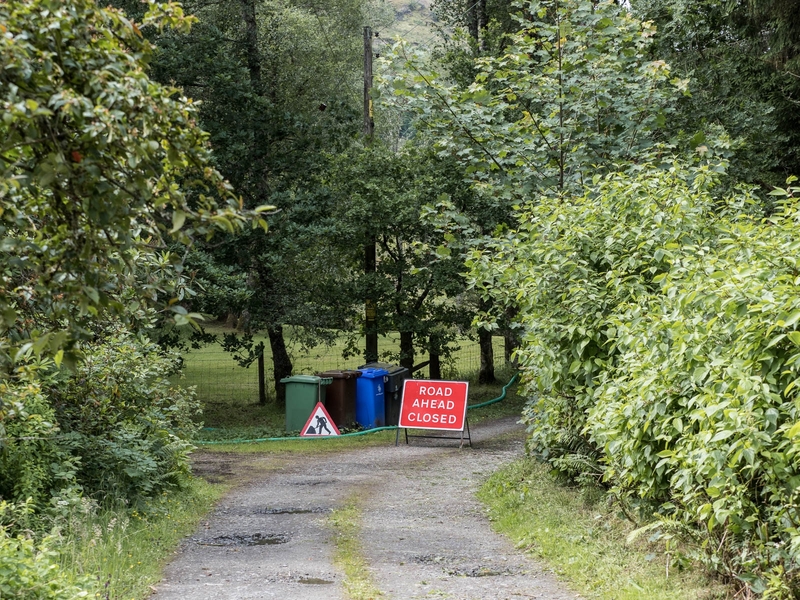 It’s been a long and painful road but our goal of making Balquhidder the Gigabit Glen is now becoming real. Ken, it certainly is, especially after the years we’ve lost, not to things over which we had any control, but to the broken promises of public agencies.